Halloween is a little over a month away but there’s no harm in preparing early for this spooky event! 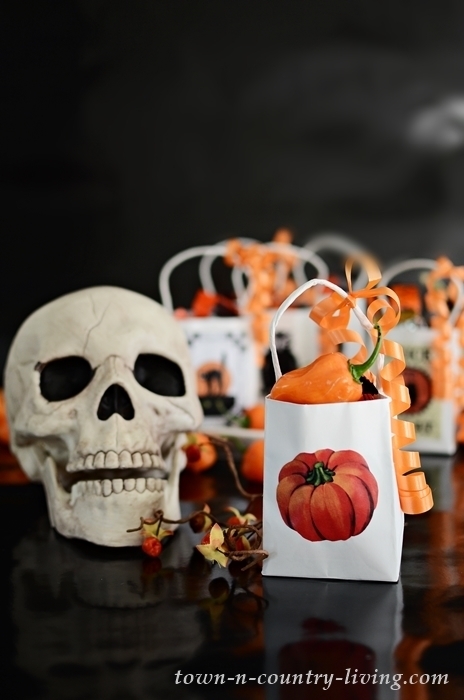 Enjoy making vintage Halloween treat bags for parties or handing to kids who knock on the door. 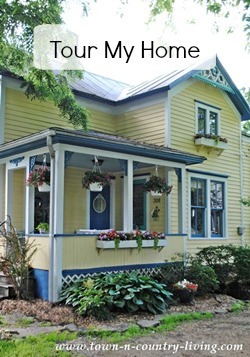 You’ll find 22 free printables from me and my blogging friends – links are at the end of this post. 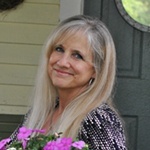 A special thanks to Kristen at Ella Claire for organizing today’s spooky event! We don’t get a ton of trick or treaters in our neighborhood so I decided to make vintage Halloween trick or treat bags to hand out this year, as opposed to one or two pieces of candy. I like to make the event special for the kiddos. 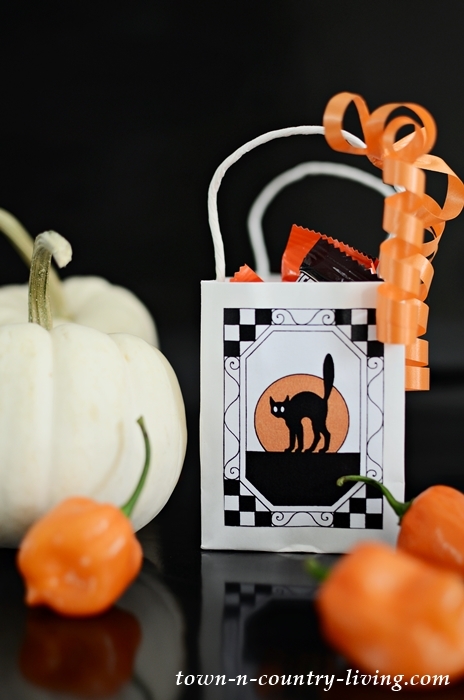 Vintage Halloween graphics are cut out and glued onto small, white craft bags (I used Mod Podge for the glue). 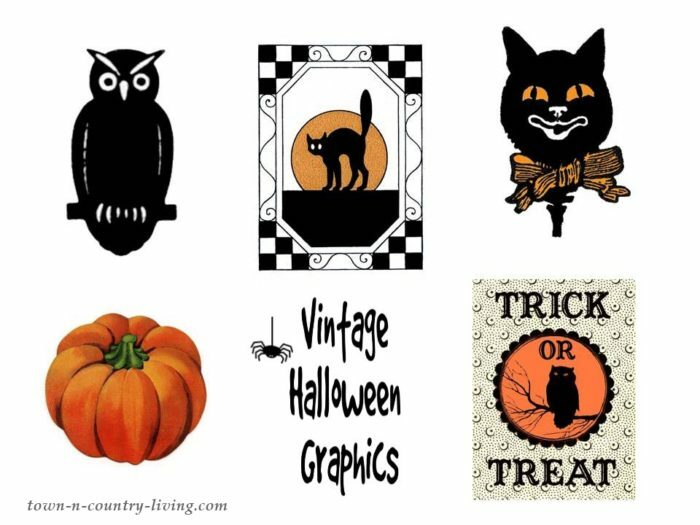 Vintage Halloween images are from The Graphics Fairy, but for your convenience, I put them on one sheet for you to download and print. Add orange curling ribbon to the handle for fun and color, and then fill with wrapped candies, and you’re done! 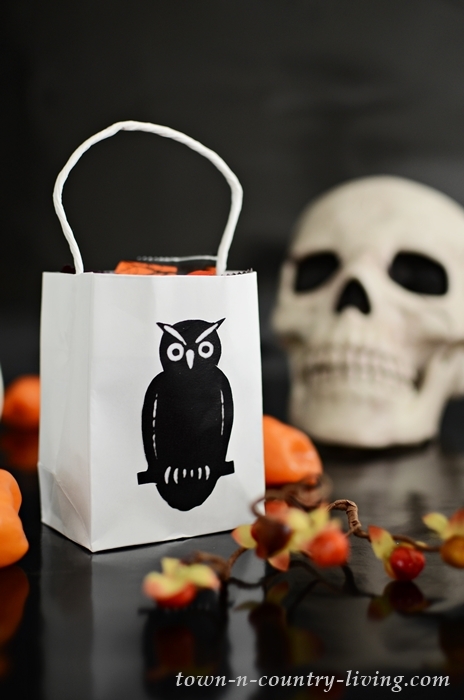 Vintage Halloween treat bags are inexpensive and super easy to make, and they’re great for home or school parties. Hand them out at Halloween if you don’t get a lot of trick-or-treaters. When I was a kid there was always at least one house in the neighborhood that had a cool treat. Like an over-sized candy bar or a small toy. I want to be that cool house in the neighborhood this year. Maybe I’ll make the porch extra spooky! Halloween always felt a bit magical to me as a kid. 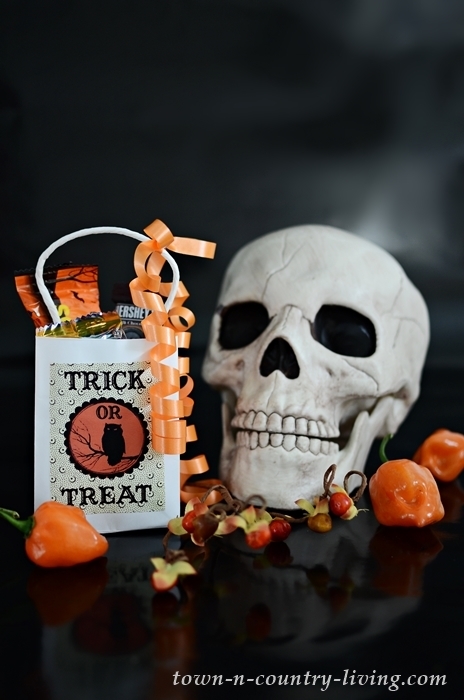 Download the Vintage Halloween Treat Bag graphics here, or click on image below. 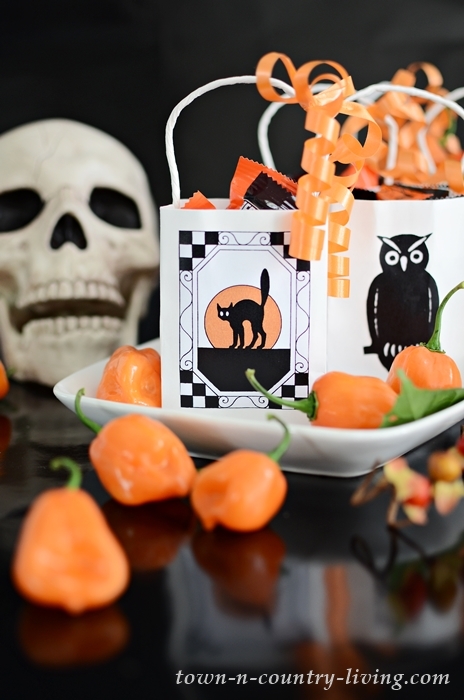 Check Out All the Halloween Printables Below! I haven’t done anything Halloween for decades mainly cause I live in a condo and we don’t get kids and before that I always had to work Halloween. 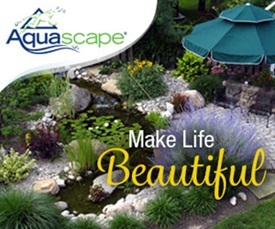 Do it miss the fun on occasion cause just like you I have many fond memories as a kid. Really did love all the ideas. I love anything vintage, Jennifer! These are adorable! 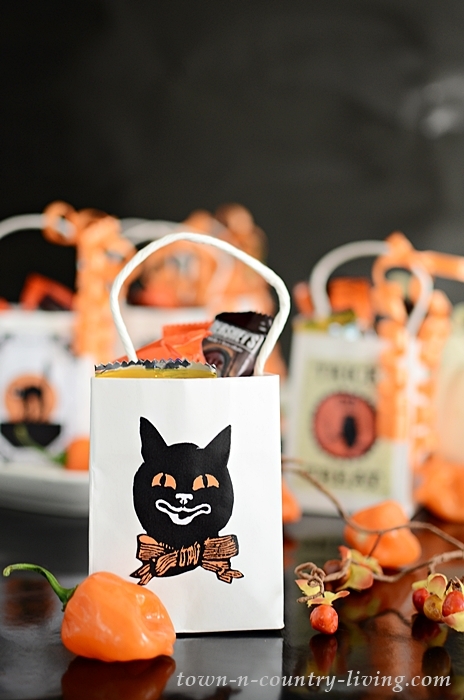 Love these adorable treat bags! 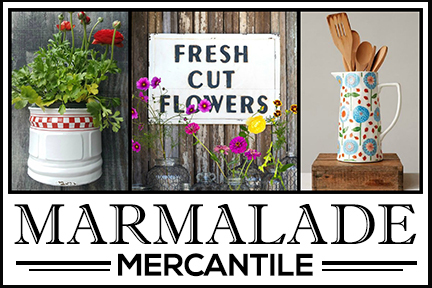 Your post is so lovely and your printable is the best for placing on the cute bags! Great photos! These are so fun, Jennifer! These are adorable! For Halloween candy! 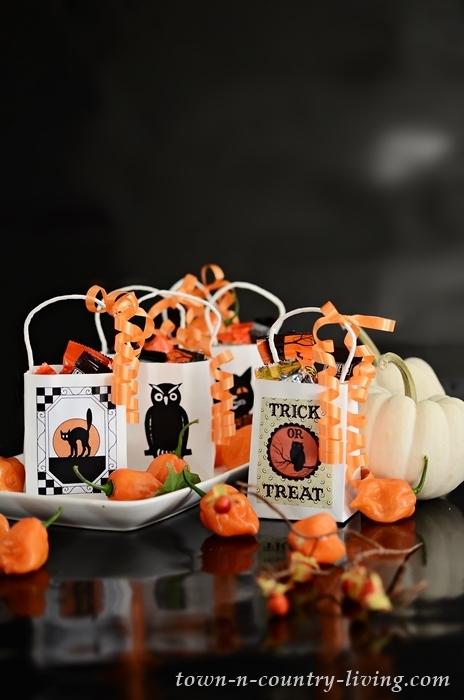 These are the most stylish treat bags I’ve ever seen, love them! Pinning!